Spring is here and it’s time to pack your hiking shoes and hit the trails. 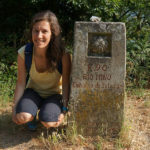 If you are looking to experience something spectacular, at IrelandWays.com we have a fantastic collection of self-guided walking tours taking you to some of Ireland’s most beautiful spots and very special trails. The Beara Peninsula, in West Cork, in the South of Ireland, is as remote as it is wild and magnificent. The Beara Way hiking trail has it all: mountains and lush forests, lakes and valleys, scenic coastline and sandy beaches … on top of fascinating history and heritage; and tasty artisan food to treat yourself at the end of your walk. The fishing town of Castletownbere, the Allihies Copper Mine Museum and the Dursey Island cable car are must-sees along the trail. You can walk part of this 130km-long trail or complete the full hike from Glengarriff to Kenmare in just a week. The Causeway Coast Way encompasses 90kms of epic tracks along the coast of Northern Ireland from the village of Cushendall to Portstewart. 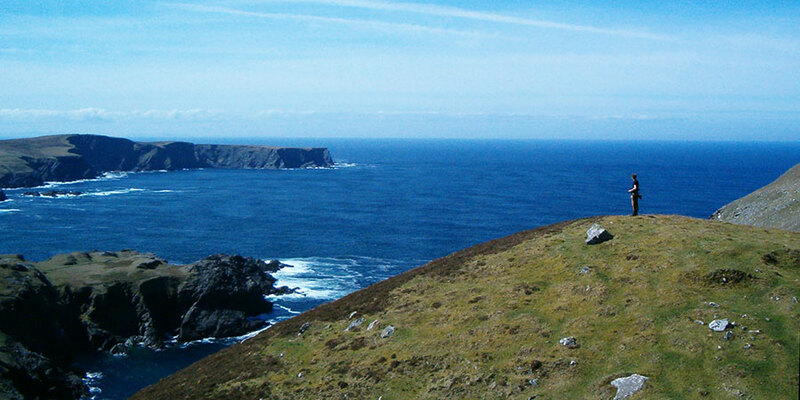 Glens, forests and legendary coastline are a treat for hikers on this phenomenal route. In Ballintoy harbour, Game of Thrones fans will be delighted to march straight into Pyke, capital of the Iron Islands in the world-famous TV show. 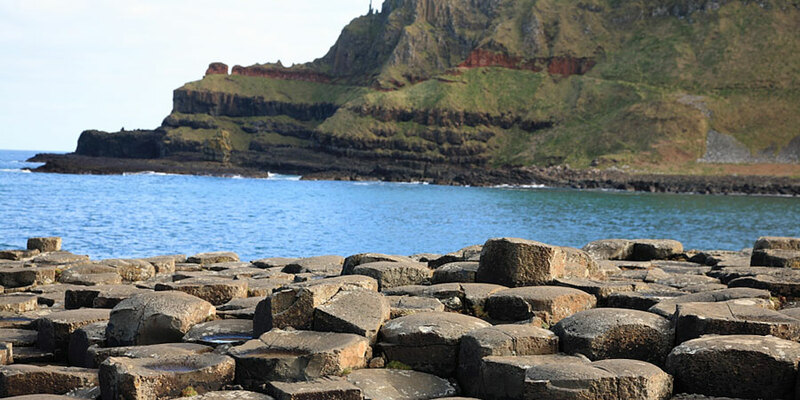 If we had to pick one great single reason to walk this trail, it would be the opportunity of making your way on foot to the Giants Causeway and its unique seascape of 40,000 interlocking basalt columns spread along the coastline, an impressive UNESCO listed heritage site and must-visit in Ireland. And if the scenery isn’t quite enough to take your breath away, crossing the Carrick a Rede rope bridge hanging 30 metres over the sea most certainly will! You can walk from Ballicastle to Portstewart in just three days which makes a fantastic short break or hike the whole trail in just five days. 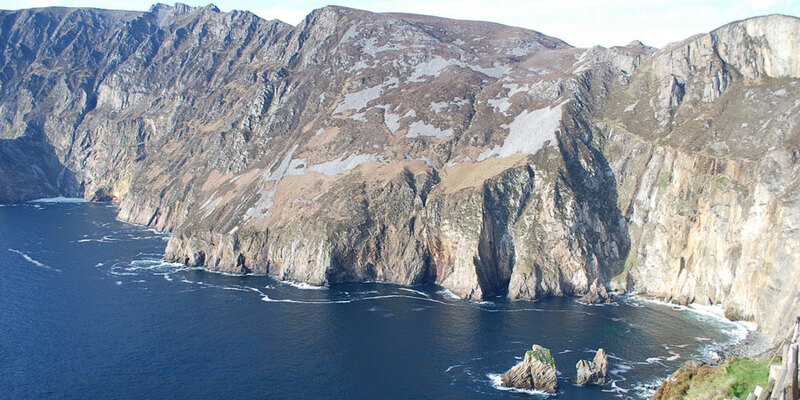 The striking Slieve League sea cliffs in County Donegal are the tallest in Ireland and have been a pillgrim destination for centuries. 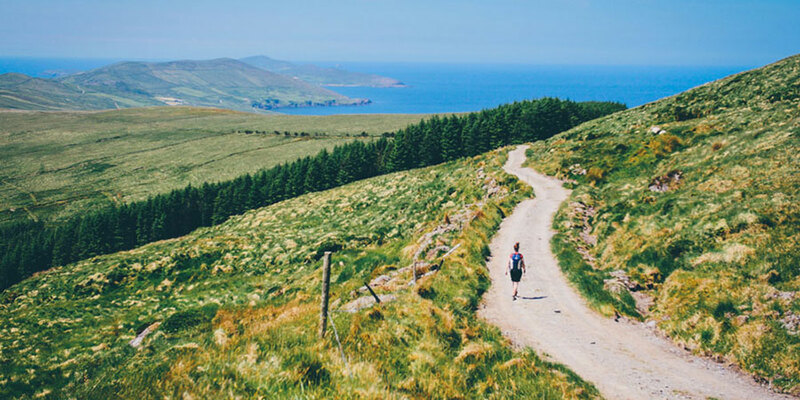 The Bluestack and Sli Colmcille hiking trail combines the remote beauty of the Bluestack Mountains and dramatic valleys with coastal trails following in the footsteps of St Colmcille (Columba), a saint from early Christian Ireland. This is a trail to get away from it all and where you will feel revitalized by the energy of this spectacular part of the West of Ireland. You can start from Donegal and finish in the pretty village of Ardara, home to Donegal’s famous tweed, and complete the trail in just 5 days.